aged 3 years & 8 months. fell asleep Nov 16th 1902 in his 81st year. 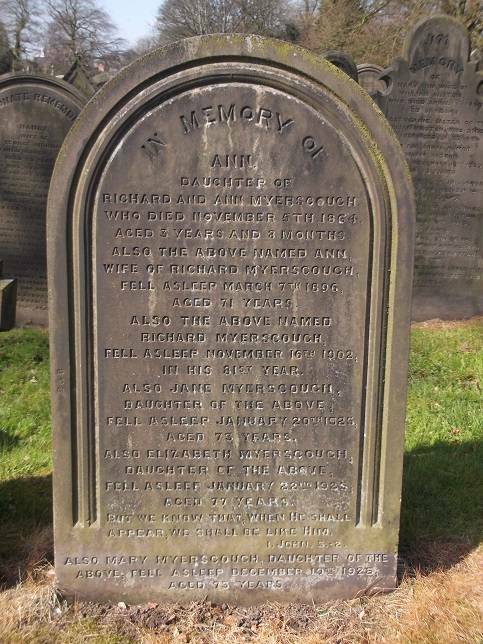 daughter of the above fell asleep Jan 22nd 1925 aged 77 years. we shall be like him 1 John 3-2.
daughter of the above fell asleep Dec 19th 1928 aged 73 years.